• Evaluation of WWF project Partners for Wetlands in the Kafue Flats, Zambia, 2007. A project combining nature conservation and sustainable development. • Evaluation of WWF programme on Mitigation of Human Elephant Conflicts and Promotion of Sustainable Livelihood around Tesso Nilo Forest, Riau Province, Sumatra, Indonesia, 2006. A project that aims at biodiversity conservation based on sustainable rural development. • Evaluation of WWF project One Europe More Nature – identification and development of new economies based on natural qualities, 2006. Sustainable development inspired by natural values. • Evaluation of the WWF project Partners for Wetlands at the Kafue Flats, Zambia, 2000. A project combining nature conservation and sustainable development. • Advice to the State Forest Enterprise on ecological restoration of three forest regions towards natural landscapes. 2009. Large-scale ecological restoration. • Coaching local staff on the ecological and silvicultural restoration of the Uganda National Park–FACE Foundation project, a 35,000 ha project to restore indigenous high forest on abandoned cultivated land. Uganda, 2002. • Coaching local staff on the ecological and silvicultural restoration of 25,000 ha logged lowland rainforest in Sabah. Restoration with indigenous pioneer tree species (where needed) and with indigenous commercial species (where possible). Malaysia, 2002. • Project identification on large-scale afforestation for FACE Foundation in Romania, 2000. • Coaching staff in the abovementioned restoration project in Uganda, 1999. • Coaching staff in the abovementioned restoration project in Malaysia, 1998. • Coaching staff in the abovementioned restoration project in Uganda, 1998. • Evaluating and giving ecological and silvicultural advice on a 75,000 ha afforestation project in the high Andes, Ecuador, 1998. • Coaching staff in the abovementioned ecological and silvicultural forest restoration of 25,000 ha logged lowland rainforest in Sabah. Malaysia, 1997. • Coaching staff in the abovementioned ecological and silvicultural forest restoration in Uganda, 1997. • Ecological and silvicultural advice to the abovementioned Uganda National Park–FACE Foundation project. Uganda, 1996. • Evaluation of the WWF programme Forests of New Guinea, Papua part, Indonesia, 2006. Sustainable management, protection and use of forests. • Evaluation and advice on the management of Schoonloo Forest Park of the Dutch State Forest Enterprise, 2006. Improvement of use of forests and protection of natural values. • Advice on the forest and protected area management in the West Tien Shan Interstate Biodiversity Project, Kyrgyzstan, 2002. Sustainable use and protection of forest habitats. • Evaluation of PAN-Parks project of WWF–Netherlands in Hungary and Slovakia, 1999. Strengthening protected areas by management branding and development of local tourist facilities. • Evaluation of the Great Apes Programme in Central Africa, 2011. Assessment of the results and effectiveness of the protection strategy in Congo and Gabon. • Evaluation of part of the WWF Central Asia Project, 2008. Effectiveness and efficiency in the protection of species and habitats. 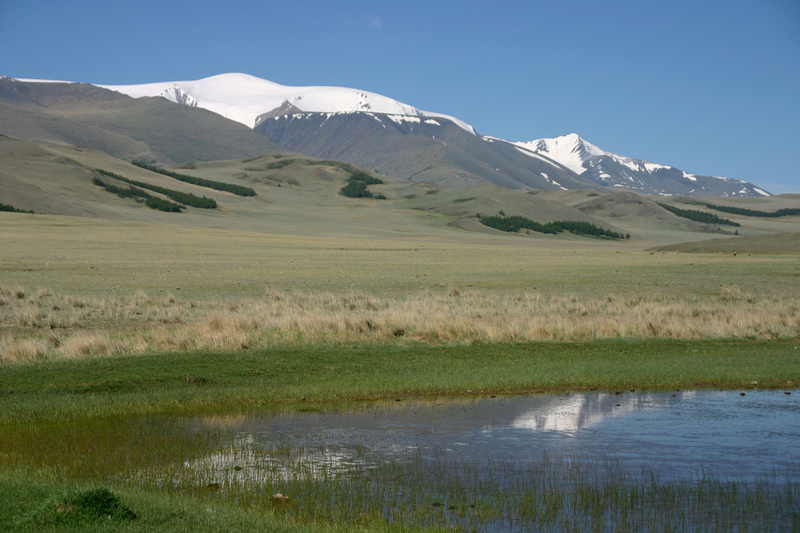 • Participation in the Altai-Sayan Ecoregion Steering Committee Meeting, Republic of Tuva, Russia, 2008. protection of species and habitats through the establishment of ecological networks. • Evaluation of WWF Polish Rivers Project, 2008. Final evaluation of the wetland programme supported by WWF-NL. • Member of the evaluation team of the WWF African Rhino Programme, 2006. On the coordination of the WWF-supported rhino projects in Africa. • Member of the evaluation team of the WWF Black Rhino Range Expansion Project in South Africa, 2005. On the reintroduction of black rhinos in wilderness areas, and the involvement of communities and private partners. • Project redesign for the continuation of the Partners for Wetlands project in Sabah, Malaysia, 2004. Renewal of approach for the protection of the wetlands along the Kinabatangan river. • Team leader of the second evaluation of the WWF project Partners for Wetlands along the Kinabatangan River in Sabah, Malaysia, 2003. Protection of wetlands and involvement of local partners. • Evaluation of the WWF project Partners for Wetlands along the Kinabatangan River in Sabah, Malaysia, 2001. Protection of wetlands and involvement of local partners. • Team leader of the analysis of the Preliminary Integrated Management Plan of the Wuliangshan Nature Reserve, Yunnan, China, 2001. Approach to involve the local communities in the protection of nature reserves. • Evaluation and advice on the tiger project of WWF International in India, 1999. Evaluation in order to develop a practical evaluation scheme. • Evaluation of the Arctic Program of WWF in Oslo and Iceland, 1999. Evaluation in order to develop a practical evaluation scheme.